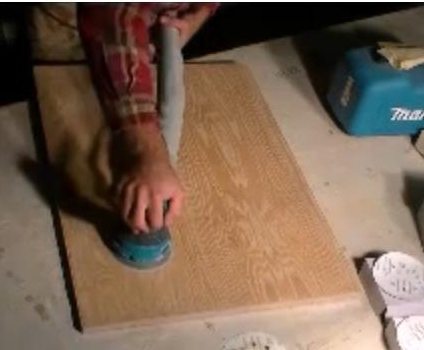 When sanding kitchen wood cabinet doors an orbital sander works great. What grit should be used? Start with 100, 180 and finish things with 220.